Tyler here from the Deckpoint Studio team. 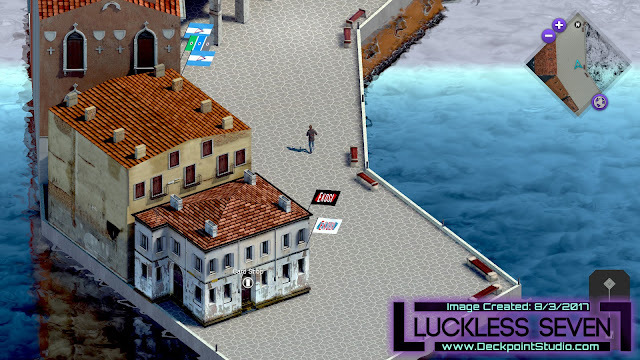 I’m writing today to provide our regular update on the development of Luckless Seven. A preview of what's to come in Luckless Seven! The last time I wrote was to announce the work on and release of the game’s manual save/load system. In June, the framework was established, and Jesse has spent the last month refining the feature. 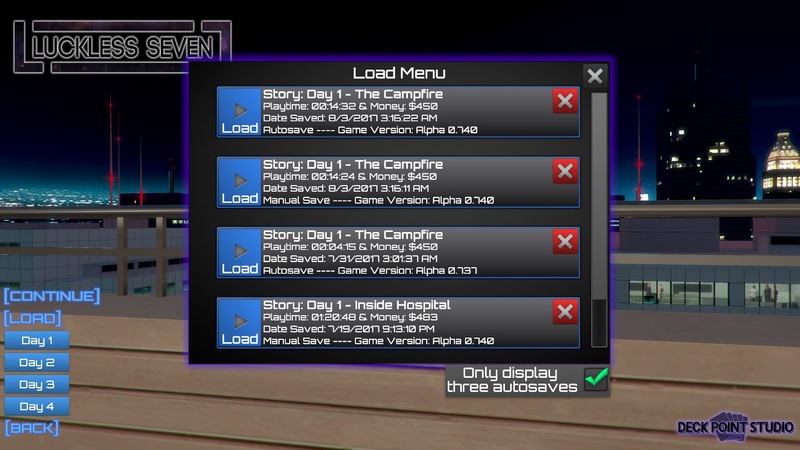 We’ve resolved an issue with player currency not saving, so now all data is being recorded and displaying successfully. Some upcoming cosmetic changes will also improve the interface so you can quickly distinguish one file from another. In addition to the save/load system changes, we’ve also fixed some bugs with the Ekosi inventory system and the arcade mode. Card sales are now crediting the player appropriately, and the arcade mode is playable again, so all is right in Ekosi land! Perhaps the most exciting news is the development of a new city to explore. In the previous “Making Arithia” update, I discussed the working relationships on the Deckpoint Studio team and our upcoming goals. I alluded to the Mediterranean inspirations behind our plans for the second city in the Luckless Seven journey. And after a lot of hard work, we’re happy to share a preview of what Neropolis will look like. 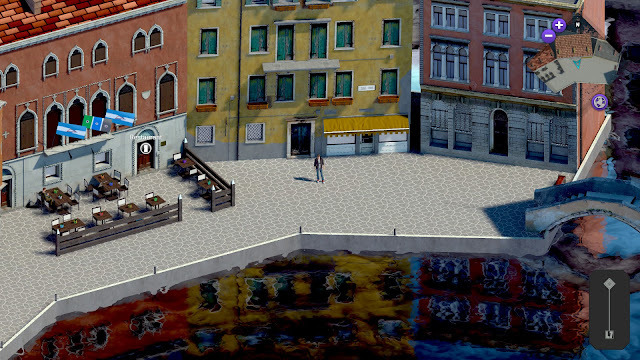 Neropolis's architecture was heavily inspired by Venice, Italy. Mark and the crew will be competing in a coastal paradise. Finally, I would be remiss to neglect my end of development: the story! Without saying too much, Day 5 has quickly become one of my favorite segments of the story to write. It’s a narratively important moment as the gang checks in for the next stage in the tournament and receives their opponent assignments. Further, I’ve found that the backdrop of the new city is perfect for the unveiling of age-old conflicts. 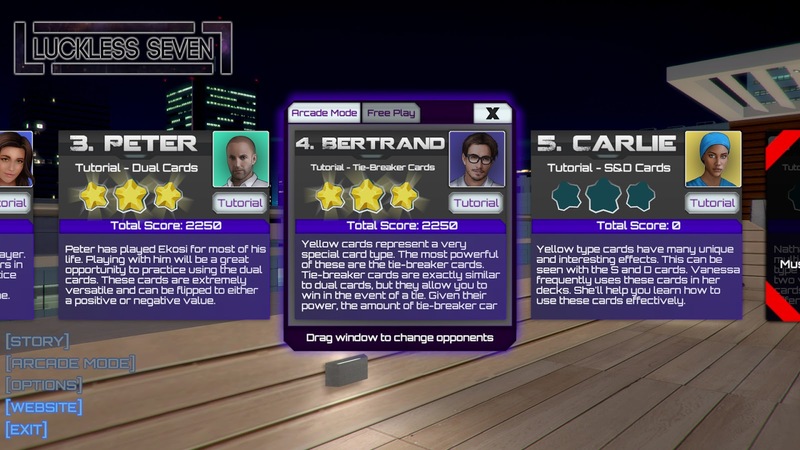 In Neropolis, the battles won’t involve just cards. When everything goes according to plan. As I always say, we never would’ve gotten this far without your support. Our most recent demo is always available via Steam. Play a few matches, engage in the dialogue, and let us know what you’re looking forward to! Download the demo on Steam or IndieDB. © Deckpoint Studio. All rights reserved.